*SPECIAL OFFER* Rental rate reduced limited time offer! 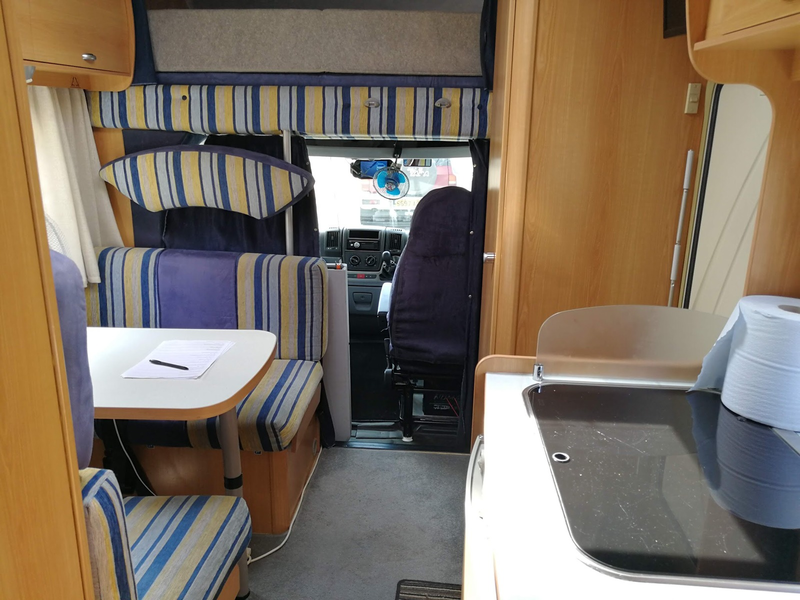 The Baron motorhome is designed to be used all year round yes including the coldest of winters, being fully insulated with gas powered blow air heating. 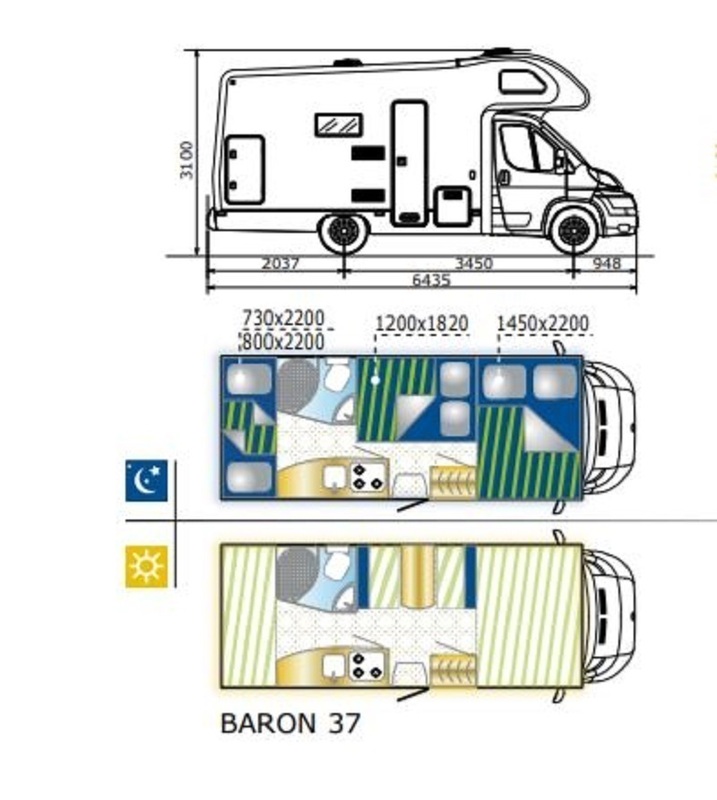 Welcome to the Baron 37, and italian designer motorhome that gets to where you want to in style! 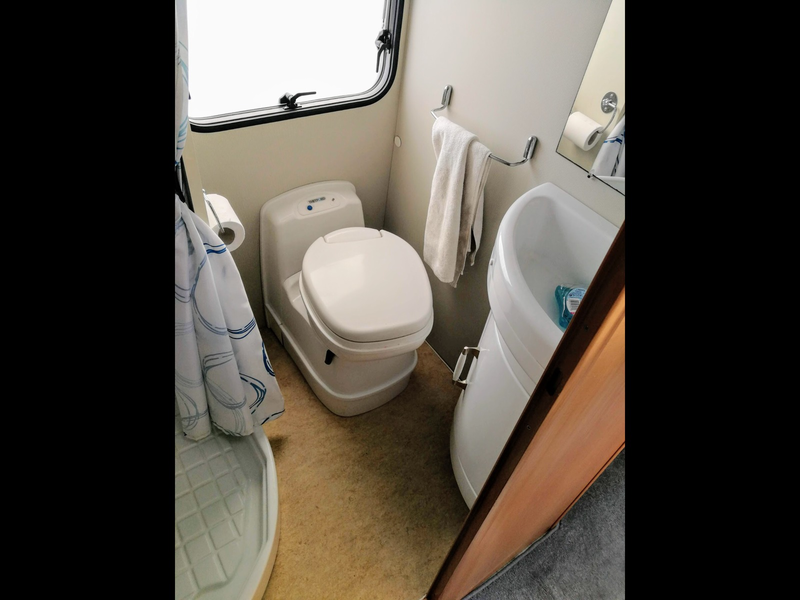 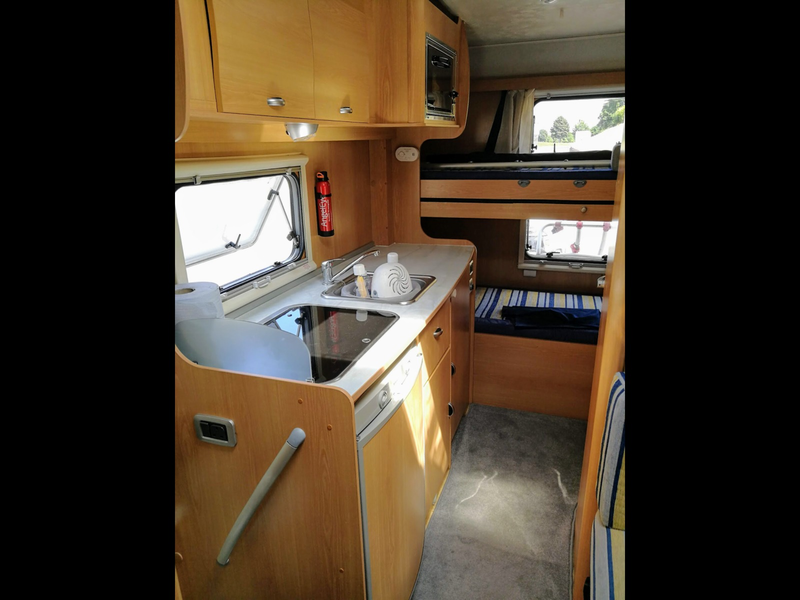 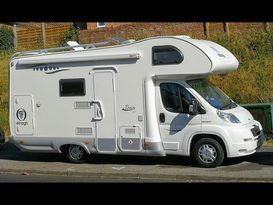 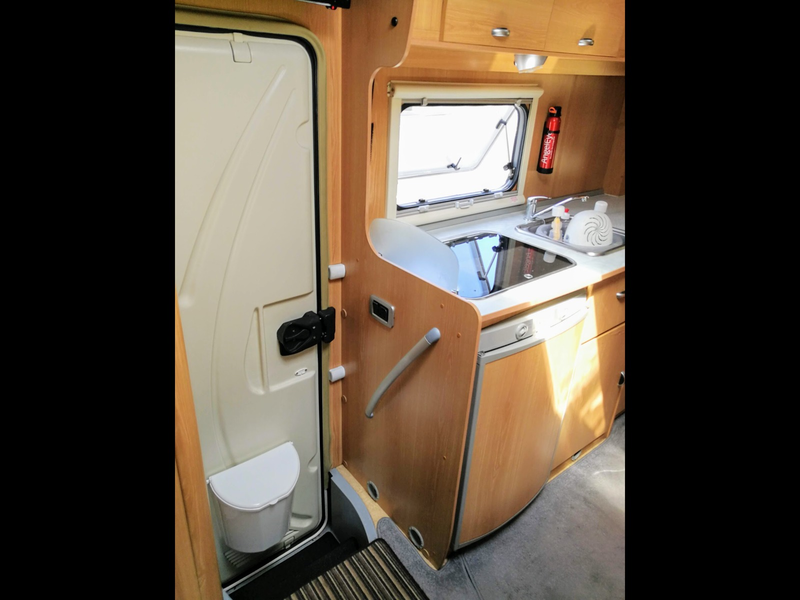 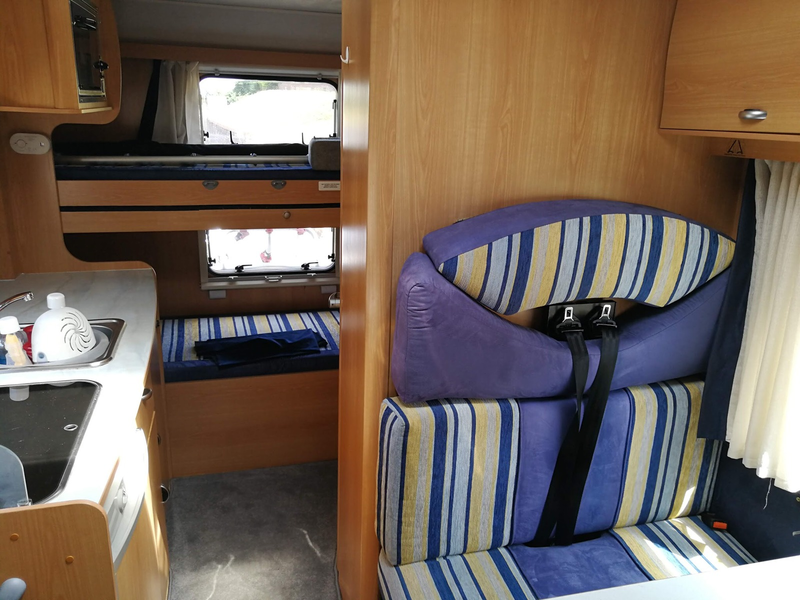 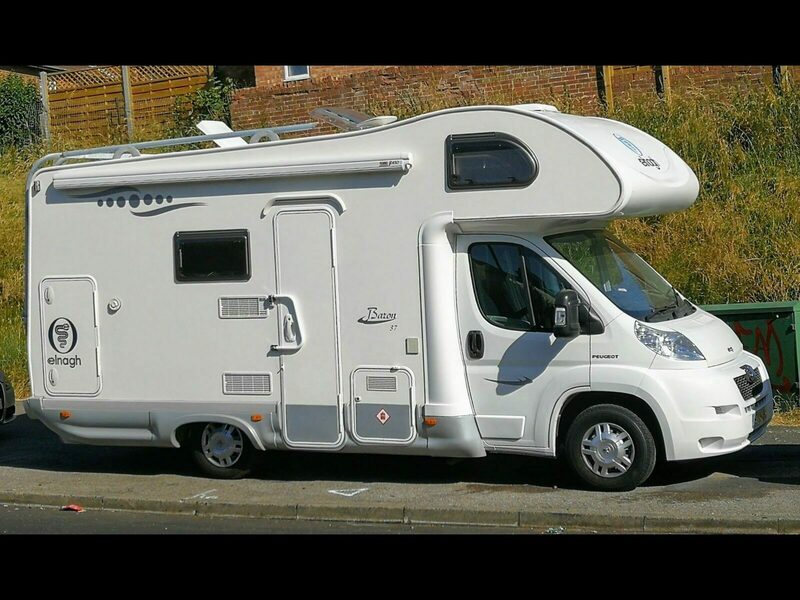 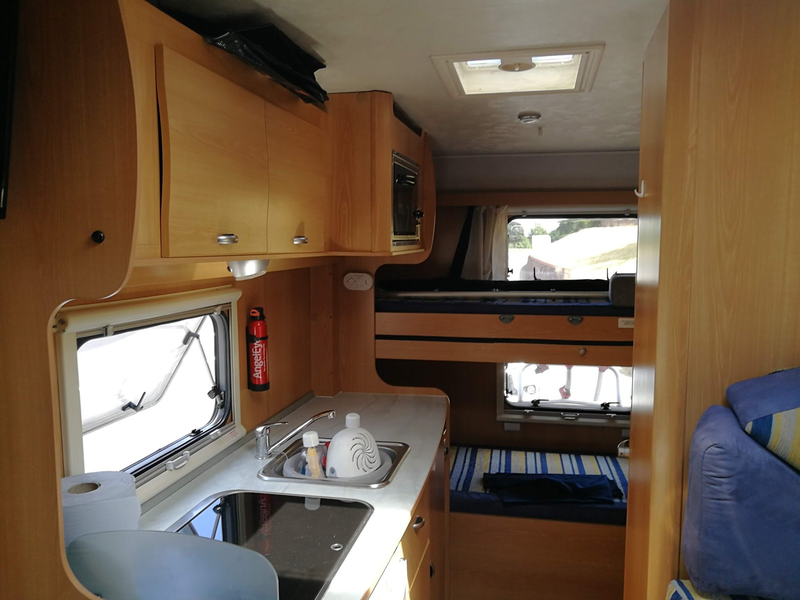 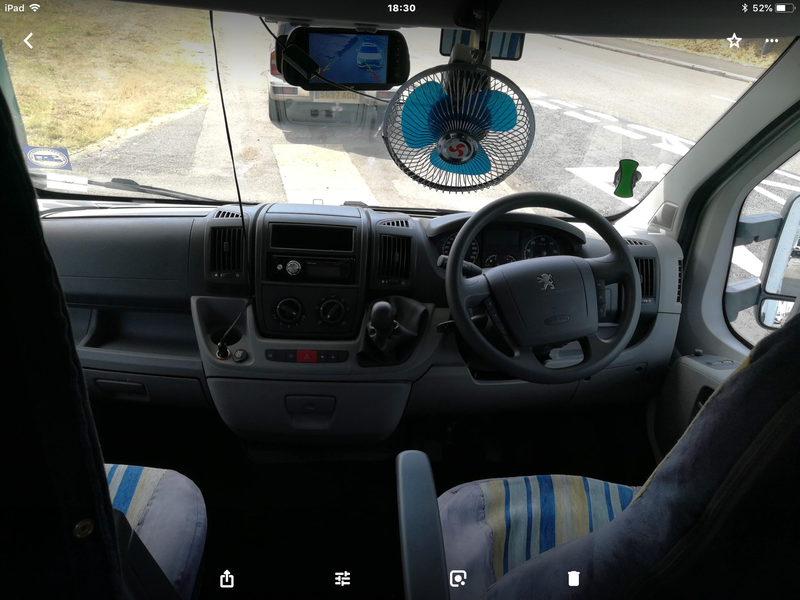 Fantastic motorhome for families of all sizes, we've enjoyed some amazing trips with this van, simple to use, versatile and comfortably accommodates everyone, especially with the drive-away awning that is so simple to set-up. 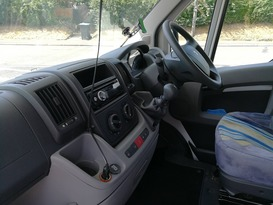 The van can operate with or without hooked up electricity, the heating, hot water, fridge/freezer, oven and hobs all can run on gas, while the lighting & TV can run from the leisure battery. 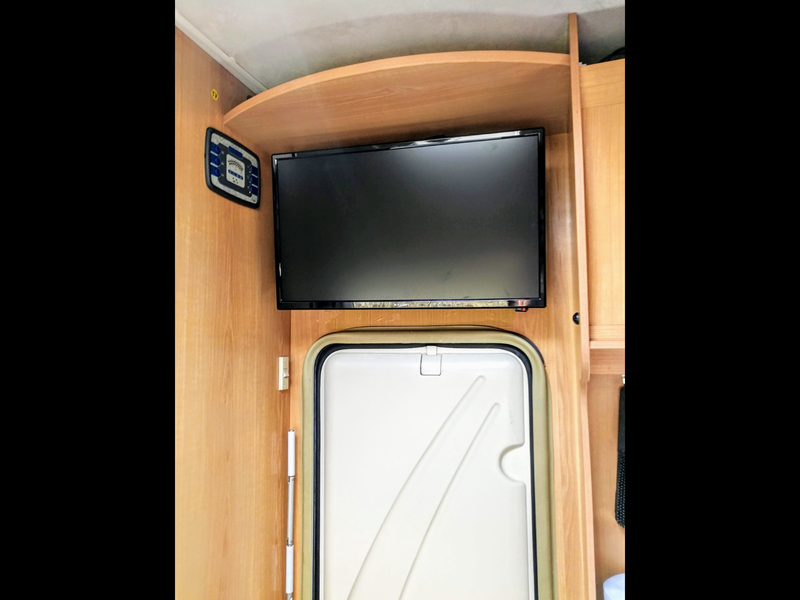 We added a power invertor so you can charge phones and accessories from the leisure battery, again without the need for an electrical hook up. The Elnagh Baron 37 is ideal layout for a family to enjoy the motorhome lifestyle. 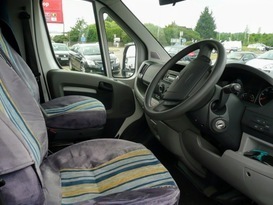 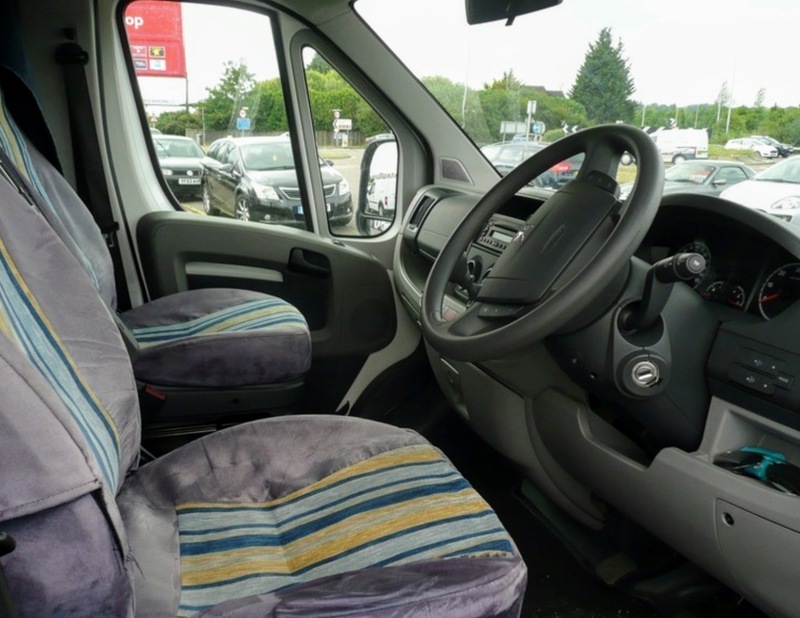 With the 2 seatbelts in the cab and 4 seatbelts in the dinette area, 6 people can travel in comfort with plenty of room. 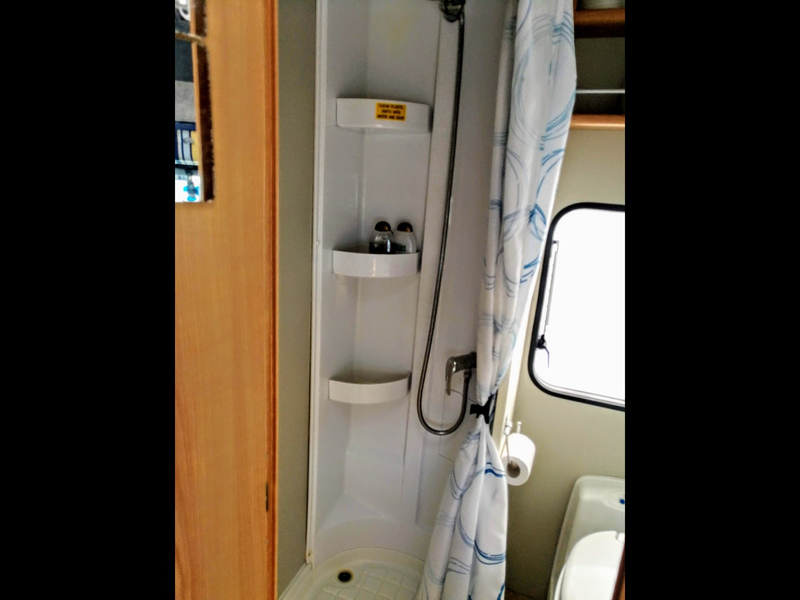 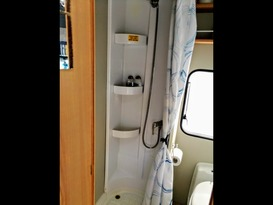 The bathroom is spacious and the 2 full length bunk beds are give indendent space fo children or adults. 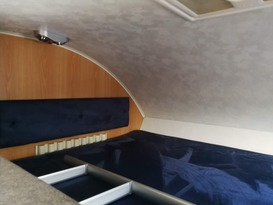 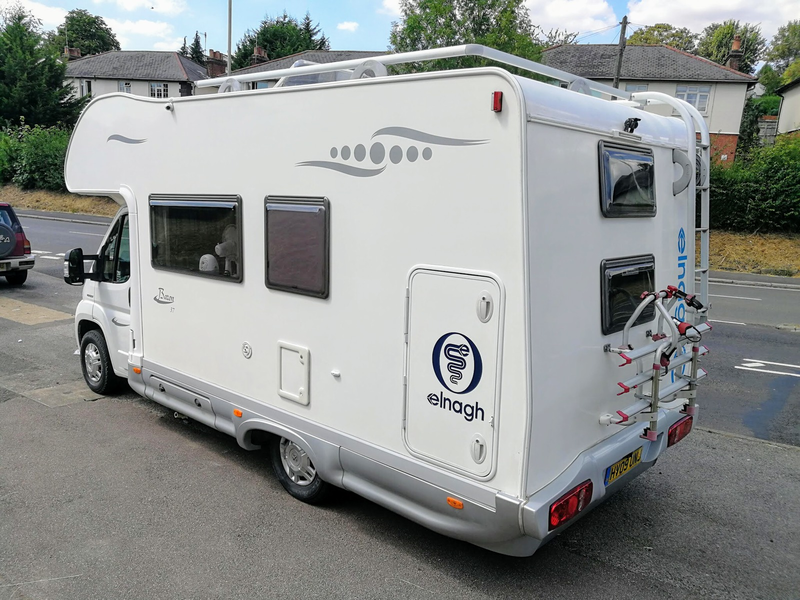 The Elnagh Baron 37 is a versatile motorhome allowing the bottom bunk bed to fold up and convert to a huge garage, accessible from the outside, either side via a large garage door. 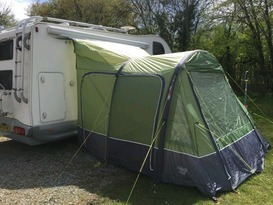 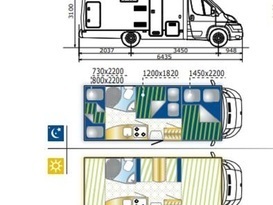 The Elnagh Baron 37 motorhome comes with a Fiamma awning with attach/detach Vango inflatable drive away awning which inflates in minutes and provides a spacious external area for the family to enjoy or a double bedroom. 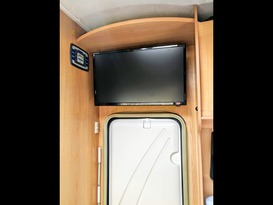 Window mounted 240v caravan air conditioning system for hot days and stuffy nights. 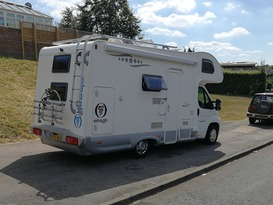 Awesome stay, Matthew was a pleasure to deal with. Was provided fully kitted out with all kitchen/dining equipment etc.